As those pesky roots are showing, and my vivid initial colour has washed out, I felt it was time to try a new hair dye. I thought I’d have a go at using a non permanent one in between ritual bleachings, to help with condition, as suggested by my hairdresser. I opted for a brand that is apparently peculiar to Superdrug: knight and Wilson. There are very few reviews about these dyes, so I was a bit skeptical. I did a few hours of skin test ( then scratched it off by mistake) had limited itching (the ingredients list looks pretty innocuous) and did a trial on the ends of my hair. I was dying over the top of my fading red that had now turned orangey. 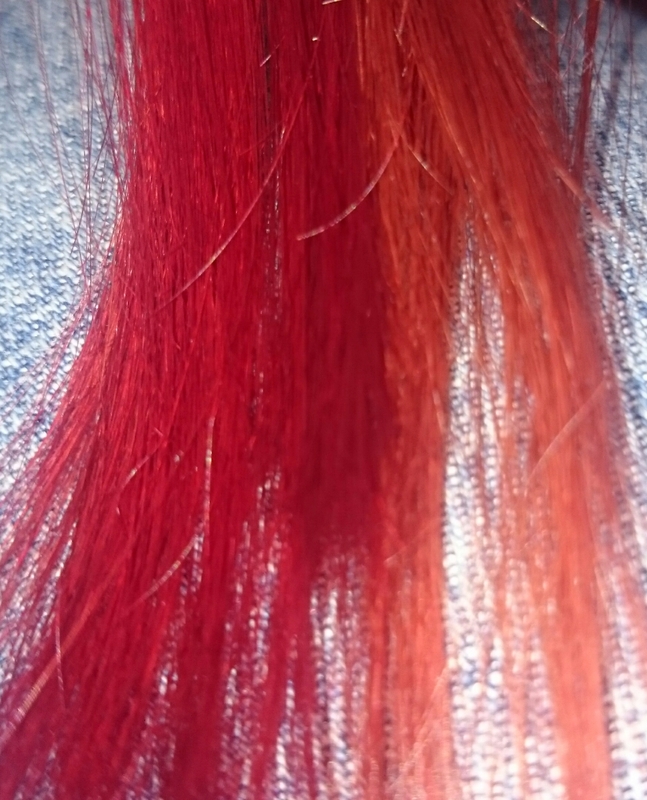 So here is the test strip…the orangey bits on the right are how the rest of my hair looked. The deep crimson was gorgeous, so I went ahead to do the whole lot. I found the dye a little tricky to apply because the colour is so intense that it immediately stains everything in sight! I left it on 25 mins which was no chore as it smells quite pleasant, and did a quick shampoo to remove most of the stain from my scalp! The water never once ran clear, I just stopped when the water came off lighter in colour. I don’t think the water has ever run clear on ANY of my hair dyings. Damn, maybe I missed a bit at the back.. 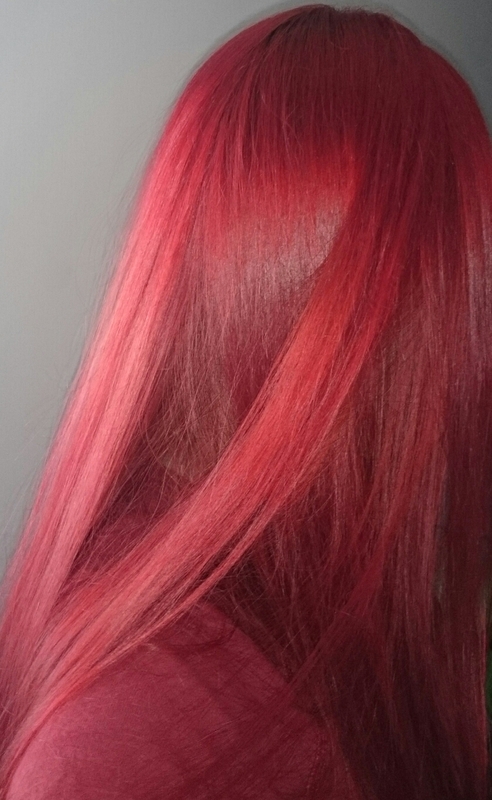 This entry was posted in beauty and tagged beauty, crimson, hair, hair dye, knight and Wilson, red, review, trial.